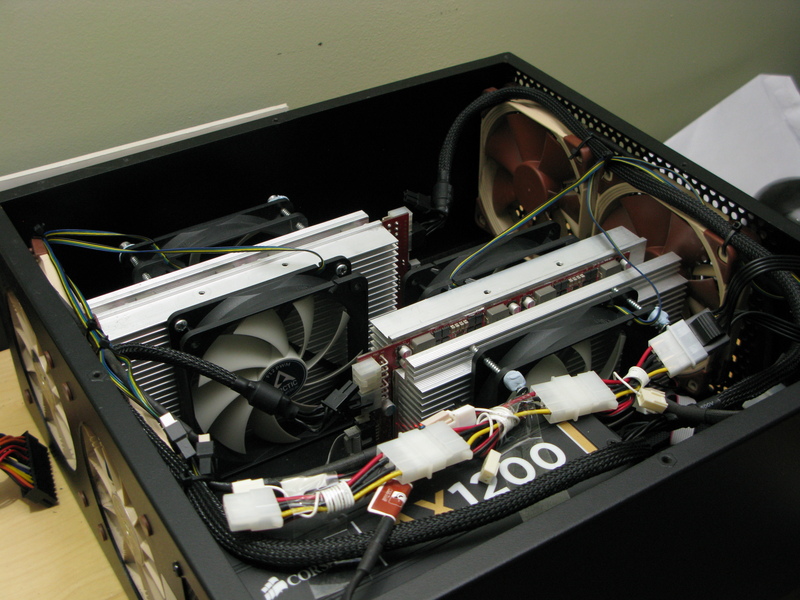 First phase of the build was to install 4x 120mm Noctua Fans for air flow across the cards. This looked pretty good at first and I was optimistic with the design. I used the original heat sink mounting screws to firmly fix the hashing boards to the base of the case. This involved drilling new holes in the case. I tried the cards in various location inside the case but found this layout to work the best. The fans were set to blow air from left to right. Unfortunately this air flow was not sufficient and the miner slowly started to heat up after about 15 minutes. 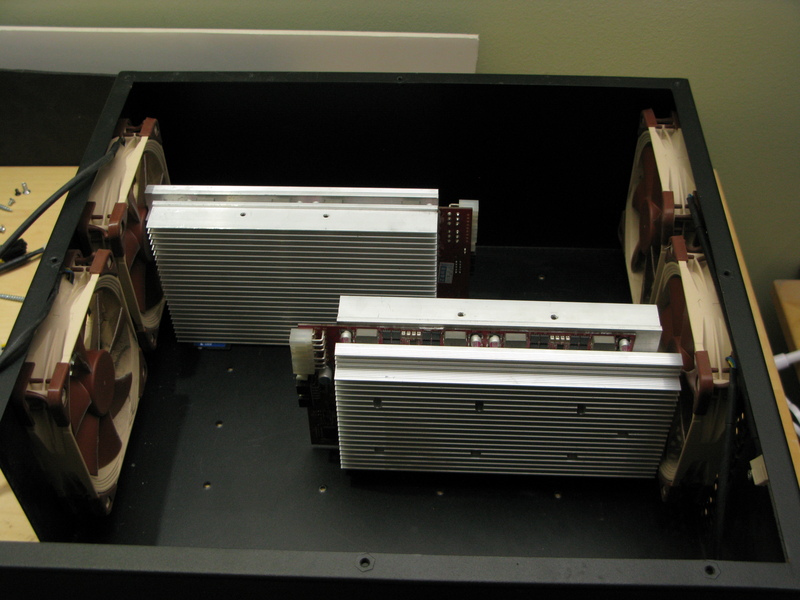 More fans where required and I tested some 120mm fans directly onto the heat sinks. This meant that the Noctua fans mounted in the case needed to be switched around and all 4 are now blowing air out of the case. Corsair 1200W PSU was added, the Orange Pi and cable extensions for the fans in an attempt to keep the cables tidy. As this was still early design phase, yes you can see sellotape and blu tack being used. 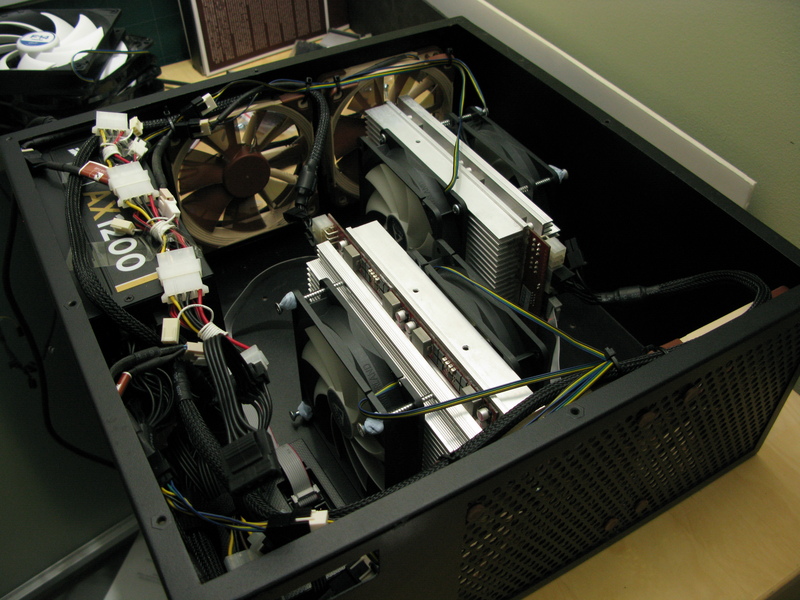 The fans still could not keep the hashing boards cool and heat would build up inside the case. I am sure this was due to negative air pressure and the lack of input fans. 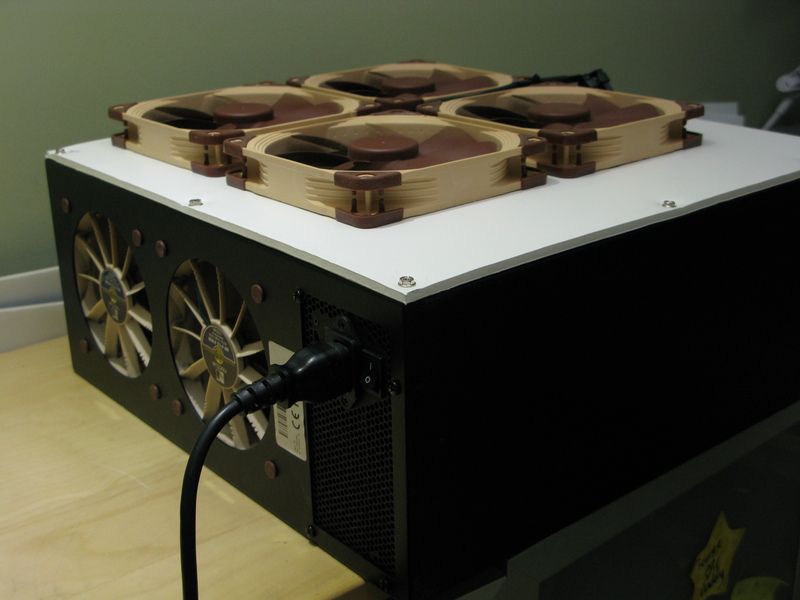 Fans to push air into the case were need and so a new lid was designed to mount 4x 140mm 1200rpm Noctua’s. This must be enough air for! The miner was near completion. Noise levels were way down, temps where good. It just needed a little tweak and the cables a tidy.